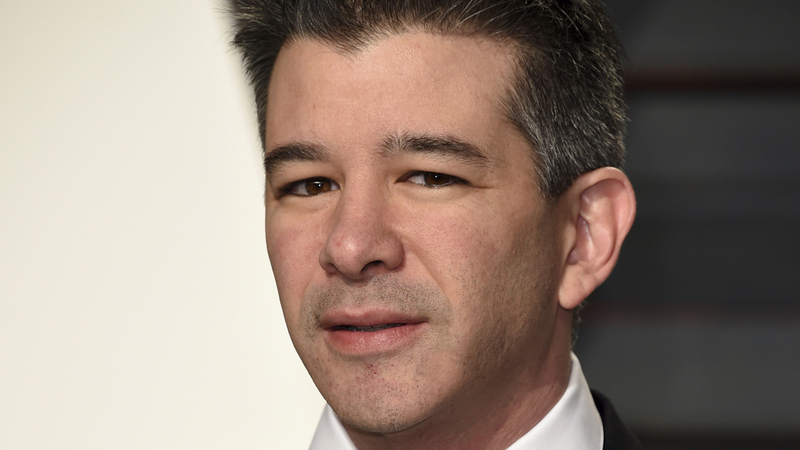 Travis Kalanick Resigns Under Pressure As Uber's CEO : The Two-Way Five of Uber's major investors reportedly demanded Kalanick resign immediately. His departure plunges one of the largest private companies on Earth into an even bigger leadership vacuum. Uber co-founder Travis Kalanick had said a week ago that he was stepping away from his position as CEO temporarily. The chief of Uber has resigned. Travis Kalanick, under pressure from his top investors, announced his departure Tuesday night. The move, which comes as a surprise to employees, plunges one of the largest private companies on Earth into an even bigger leadership vacuum. A week ago, Kalanick said he was stepping away from his position as CEO temporarily, taking a leave of absence to mourn his mother, who recently died in a boating accident, and to work on his leadership, to grow into "Travis 2.0." "Travis has always put Uber first. This is a bold decision and a sign of his devotion and love for Uber. By stepping away, he's taking the time to heal from his personal tragedy while giving the company room to fully embrace this new chapter in Uber's history. We look forward to continuing to serve with him on the board." "I never thought I would be writing this. "As you all know, I love Uber more than anything in the world, but at this difficult moment in my personal life, I have accepted a group of investors' request to step aside, so that Uber can go back to building rather than be distracted with another fight. I will continue to serve on the board, and will be available in any and all ways to help Uber become everything we've dreamed it would be. The New York Times, which broke the story, reported that the sudden move came after five major investors demanded Kalanick's immediate resignation. The paper notes that those investors "included one of Uber's biggest shareholders, the venture capital firm Benchmark, which has one of its partners, Bill Gurley, on Uber's board." For months, Uber has been in a dramatic and public downward spiral. Former President Jeff Jones left abruptly, the company was searching for a No. 2 to help the CEO, and Uber is struggling to revamp its workplace culture in the wake of rampant sexual harassment problems and to regain the loyalty of drivers who feel taken for granted. The company on Tuesday announced a set of efforts to improve the driver experience (including in-app tipping), but that gesture was quickly overshadowed by the standoff among the leadership. Uber, which is valued at about $70 billion, now has a stunning list of executive positions it has to fill. The list includes CEO, chief operating officer, general counsel, senior vice president of engineering, chief marketing officer and board chair.